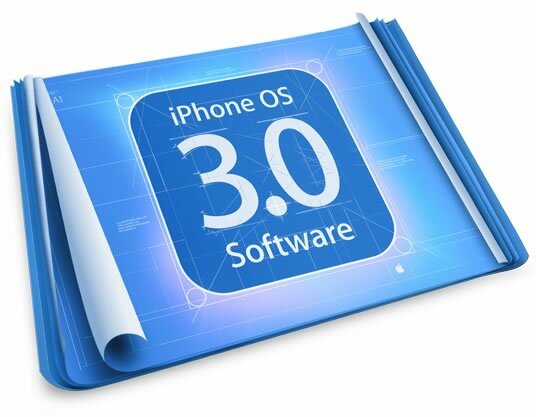 Engadget is reporting that Apple will be unveiling details about the next major release of the iPhone/Touch operating system, iPhone OS 3.0 on March 17th at 10am PST (1pm EST). The presentation will surely be targeted at developers in an effort to guide them in updating current and future applications for the new OS. Personally, I’m fairly impressed with the speed at which Apple is releasing major updates to thier new mobile platform. The iPhone and Touch aren’t even 2 years old yet, and we’re looking at version 3 of the operating system coming out soon. It will be interesting to see what major changes make their way into version 3.0 of the system firmware. I expect/hope we’ll see the ability to run applications in the background, as rumored in the past. If we don’t see features like copy/paste and MMS support… well I just don’t like to think about it, even though I’m expecting we’ll be disappointed again. (Apple, just look at hClipboard. It’s already been done for you!) My own feature-wish-list contains a few more things, like standard Bluetooth profiles for file transfer, keyboards, proximity detection, and stereo audio. I wonder if we’ll see any features that will hint at new hardware. I’d love to see real-time video chat and the forward facing camera it’d require. Also, it seems reasonable that iPhone OS 3.0 may be set up for a new Netbook/Tablet device, so I wonder if we’ll see any features related to UI scaling. Very excited. The iPhone software releases have been amazing to be honest. It’s often like getting a new phone at no cost at all. A hint at new hardware would be great. I’m holding out on my 4gig 1st gen because I think we’ll get something new this year. Make it happen Apple! I agree! I hesitated to do this comparison and look like a fanboy, but Apple has really made the other mobile platforms look like they’re standing still in terms of updates. How old is Windows Mobile 6? 6.5 is coming out late this year, so Windows Mobile 7 is at least a year away. That’s another area where Apple has been surprisingly customer-friendly… pushing new firmware updates to older devices. I expect that the 3.0 update will leave our first generation iPhones behind a bit though. I think it sounds reasonable that any background applications will be limited on older hardware, but more unlimited on whatever new hardware we see released (due to RAM limitations). I’m pumped to see the new hardware. If they announce a 32gig model (which I completely expect) I will probably be upgrading this year. I’m a new iPhone user, and I’m really psyched for the upgrade. I’m hoping for copy/paste. I miss that feature of my Blackberry a LOT!